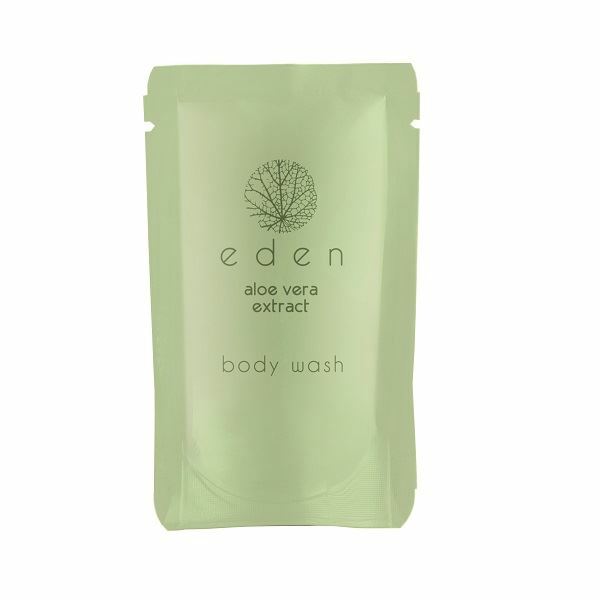 Presented in smart, stand-up pouches designed to reduce the amount of packaging material used in individual toiletries, this Eden body wash pouch offers a great alternative to single-use plastic bottles. The formula itself is enriched with aloe vera extracts to provide a light refreshing scent with the added benefits of its soothing and hydrating properties on the skin. The pouch co-ordinates with the Eden conditioning shampoo, hand & body lotion and 20g or 12g soap bars.